Eastern Blackneck Garter snake is relatively harmless snake. Thamnophis cyrtopsis ocellatus snakes are found all over the Edwards Plateau. It has three narrow, light colored stripes on its dark colored body. Its spinal stripes are typical of the species with uniform orange and orange-yellow spreading throughout its entire body length. It has smaller dark patches and spots between its lateral and the spinal stripes. It is usually gray on a bluish background. This non-venomous snake survives under adverse climatic conditions and regularly dips in scanty water though it is not aquatic. 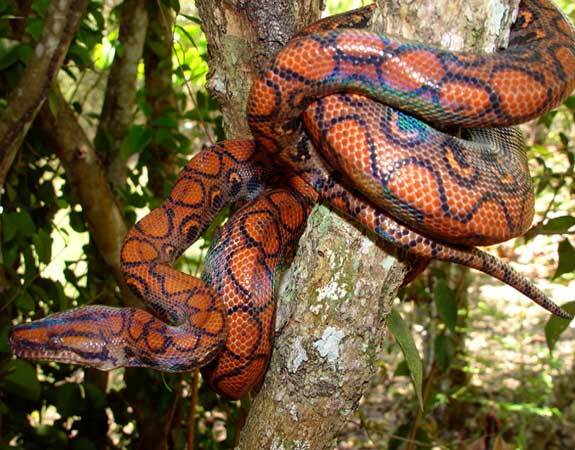 This snake grows to a full length of 16 inches to 20 inches with the longest ever recorded measuring 43 inches. It is friendly and gets accustomed to a life of captivity. It flattens the head and the front of its body to scare away its predators. Eastern Blackneck Garter feeds on frogs, tadpoles, and toads. The female tends to be longer and larger than the males with the latter being more attractive especially before breeding. After molting, the female becomes shiny with cryptic appearance. 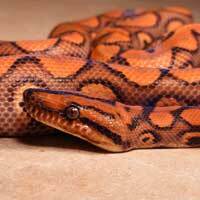 The snake is mainly found in the regions of New Mexico, Mexico, Arizona, and Texas. This species prefers fairly dry and rocky habitats with a stable water supply. It leaves in hillsides with fissures and rocky surfaces but roams out into creek bottoms during dry summers. An Eastern Blackneck Garter snake strikes when disturbed then coils, releases a musky-scented smell to scare off its predators, and readily takes instant flight. They hide in dark spots and emerge occasionally to bask in the sun. The breeding period of the Eastern Blackneck Garter snake takes place from the month of April to May. Later in June, the female give birth to juveniles numbering between 7 and 25 measuring about 7 inches to 11 inches. Eastern Blackneck Garter adapts well in captivity if the vital its needs are sufficient.